Last week we were fortunate enough to be asked to write a Flexistix review and were sent the Flexistix multi-tower kit to have a play around with. 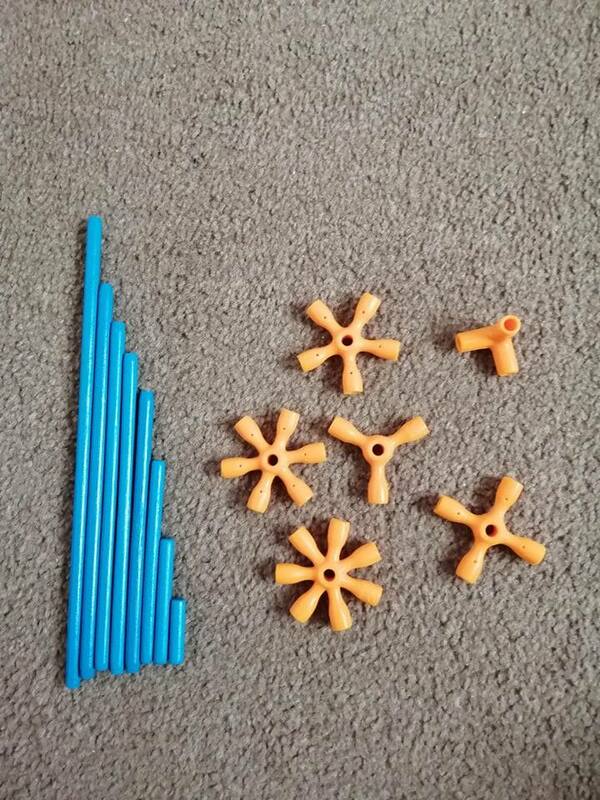 The kit is aimed at over 4’s and contains 34 orange joins of varying sizes and 98 blue bamboo rods of different lengths, as well as a booklet with 4 sets of instructions for different models. I love the fact that the pieces come not only in a box but also in resealable bags within the box making tidying up and storage really easy. The bamboo Flexistix are solid and hard wearing and are great for use by heavy handed children (and adults) and appear to be very unlikely to snap, unlike some plastic alternatives can be known too. The possibilities are only as limited as your imagination. 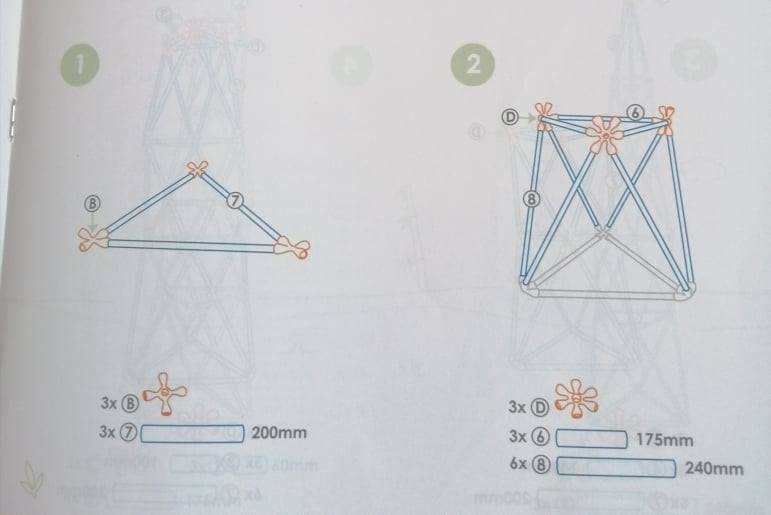 Once you have tried all 4 ideas from the booklet you can continue to create your own towers and a whole host of other creations. The instructions use pictures instead of words which is great for non reading children and more visual adults. The only problem we found with the Flexistix set was that although the bamboo and silicone pieces come in varying sizes they are all the same colour and therefore look very similar. This isn’t a massive problem and wouldn’t stop me from buying it but it does mean that it is easier to use if you separate all the pieces out into size order before you start building. Now this sounds straight forward and is probably fine for older kids and for when adults are joining in but it was off putting for our 6 year old who got the pieces confused a few times when following the instructions and ended up just doing his own builds instead where the sizes didn’t matter as much. Overall our Flexistic review is a positive one, it is a fun and durable piece of kit that can be used by children independently or enjoyed with an adult. It is beneficial for promoting their use of imagination, problem solving, and fine motor skills and can be used time and time again in different ways to avoid repetition. 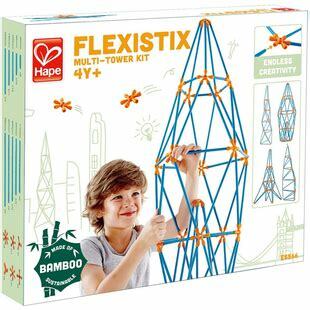 If you think your little one would be interested in this then the Flexistix multi-tower kits are available on Amazon and in my opinion are perfect for children, both boys and girls, who like to build between the ages of 4-8. (We were sent the products in exchange for a Flexistix review, all opinions are my own).